Short Sale Questions? Then ask Short Sale Expert Heather Mergler of Advanced Title at 703-365-9636. Heather has helped over 400 homeowners avoid foreclosure and negotiate successful short sales in the Washington DC Metro area at no cost to the seller or Realtor. There are many that claim to be short sale experts but the proof is in the pudding closings. 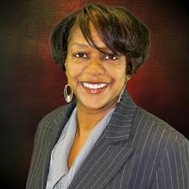 Heather is a CDPE (Certified Distressed Property Expert), you can visit her web portal for free report Short Sale Myths. Heather is also a priceless resource for Realtors looking to have a reputable company to successfully negotiate your short sale listings while you do what you do best sell homes. Watch this quick video to meet Heather, successful short sale negotiator, in Virginia, Maryland, and Washington DC. Heather is ready to blog here at Activerain, so stay tuned for her expert commentary on short sales in Virginia, Maryland, and DC. FAMILY DISASTER PREPARATION KIT FOR MARYLAND AND NORTHERN VIRGINIA.